The price you will end up paying for a diamond is highly dependent on how the diamond is graded in the grading report and/or "certificate”. The Gemological Institute of America's (GIA), HRD Lab's, American Gem Society's (AGS), and Gem Certification and Assurance Lab's (GCAL) reports command the highest premium in the industry. However, among all the other gems labs, there is significant discrepancy in how they grade diamonds and the reliability of their grading reports. Please see our comments about the shortfalls of GIA vs AGS below and where one might have an edge over the other. Overall, GIA is still considered as the standard-bearer in the industry when it comes to the education and grading of diamonds. 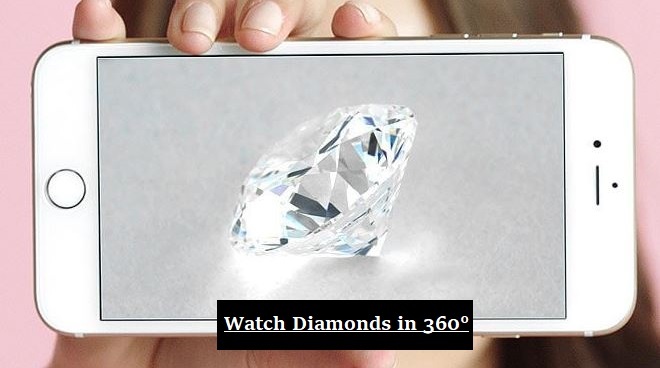 James Allen has the Best 3D 360 Degree Image Technology for Assessing the Cut of GIA Graded Diamonds. We strongly recommend GIA as the top lap and also consider AGS, HRD and GCAL as reliable labs. The International Gemological Institute (IGI) is also improving how they grade diamonds. On the other hand, the European Gemological Laboratory (EGL) has lost much of its credibility and market share. We don't carry a single diamond that is graded by EGL. The Gemological Science International (GSI) is an okay lab and would sometimes have one grade inconsistency. The Professional Gem Science Laboratory (PGS) is also a dependable lab, but doesn’t have a significant market share. Moreover, GCAL is also a very refutable lab, but have a small market share. If you are shopping for a high quality AGS Graded Ideal Cut Diamond, check out Brian Gavin Diamonds, they have the best selection for AGS graded diamonds. Sometimes you might get conflicting opinions because gemologists might tailor their opinion to the lab that graded their diamonds in order to make a sale. These opinions are obviously biased and you should vary of such opinions while shopping for a diamond. Please follow our in depth diamond guide for each shape of diamond to make an informed judgement while buying a diamond. The diamond trade has evaluated significantly over the last decade. Now basically everyone works with the same set of dealers and acts as intermediary between you and the dealer. Let's look at each lab and examine who they are and what they do. The Gemological Institute of America is a non-profit organization dedicated to the research and education of gems and jewelry. They study and grade all types of gemstones. In addition to the lab services, GIA also trains gemologists and offer in depth education and research support to the diamond industry. At present, GIA’s diamond grading reports are top rated diamond verification and “certification” documents in the diamond industry. GIA offers two types of diamond grading reports. The full reports and the diamond dossiers for small diamonds. 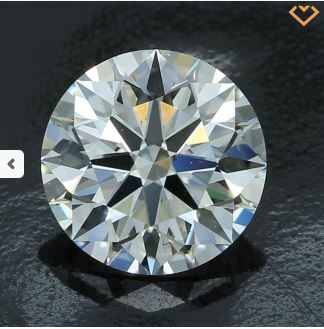 The dossiers are cheaper than the full reporst and do not include the full plot of the diamond which show the exact location of inclusions in a diamond. Because the location inclusions is not determined in dossier reports, GIA requires a mandatory laser inscription of the diamond which is not the case with full reports: dealers can buy the laser inscription as a added service for $30, but it is not required. There are some discussions on how GIA determines excellent cut in a diamond and that their criteria might be very broad when they assign an excellent cut grade to a diamond (which is the highest in GIA 's scale). Hence, there is this suggestion that AGS's proportions-based system for assigning the IDEAL cut grade in their reports might be superior to GIA's grading. Please look up diamond proportions and read our detailed report on this matter for better understanding. The American Gem Society is a membership organization of jewelers, suppliers, appraisers, and traders. The company has been around since1934; however, its laboratories (American Gem Society Laboratories – AGSL) were founded in 1996. They also have an advanced instruments division founded in 2004. AGSL is the division that grade diamonds and have developed their own standards for grading diamonds. AGSL is a close competitor to GIA and has a strong reputation in the diamond industry. When it comes to grading diamond's clarity, AGSL can be in consistent sometimes. We have noticed diamonds in the SI2 range that were graded by AGSL that we can say with full confidence GIA would not assign SI2 grade to. So when it comes to the clarity grading in the SI1/SI2 be range, be wary of AGSL's consistency. HRD Antwerp’s is mainly owned by Antwerp World Diamond Center. AWDC was founded in 1973 and represents the Belgian diamond industry. As you might know, Antwerp is one of the main centers for diamond trading and supply. HRD Lab’s standards are similar to ones used by GIA. They also follow grading rules set by the International Diamond Council. HRD Labs are very reliable. Please note that we normally assume that there would be a grade inconsistency in HRD's grading when it comes to the grading of diamond color. This should be reflected in your decision-making as you buy HRD graded diamonds. Grading of clarity is more or less consistent with GIA. The International Gemological Institute was established in 1975 and is headquartered in Antwerp – one the key centers of the diamond business. IGI has several branches all around the world and is one of the largest labs in the world. It also has a gemology school. Since IGI is so big,their labs in different countries seems to be using slightly different criteria while grading diamonds hence inconsistencies in overall grading results. However,they seem to be improving their overall performance. We would grade IGI as slightly less strict than GIA or AGS. It is a good idea to expect one grade inconsistency while buying IGI diamonds. However, no two diamonds are the same,so generalizing anything when comes to buying diamonds is not a good idea – each case is different and therefore should be treated as such. Expect one grade inconsistency in overall grading when it comes to IGI's grading in all four Cs. Gemological Science International mainly grades diamonds for some of the large chain stores in mass numbers. Recently, they have expanded their operations to a number of countries worldwide. GSI seems to be a favorite of large stores as they grade diamonds much faster than GIA or AGS. GSI is close to IGI in how they grade diamonds and usually grade diamonds one grade lower than GIA or AGS. Again, stated above, each diamond has its own characteristics so these insights are good for general information purposes as it is important to analyze each diamond individually. However, if you are not well informed or if you don't have the time to learn about diamonds, it is a good idea to go for either GIA or AGS. Good to be cautious when evaluating GSI's diamonds. Expect a grade inconsistency and make sure you run the stone by an expert and get a third party opinion. The sad part is that most appraisers are also not reliable, so it will always be a trade-off when buying a GSI graded diamond. The European Gemological Laboratory used to have significant shares in the diamond grading business. However, it has lost much of its credibility. They seems to be reorganizing the organization and for the time being it is a good idea to not solely rely on EGL reports. Even RapNet do not allow EGL graded diamonds to be listed on their platform. It is a safe bet to avoid EGL graded diamonds unless they are from the era of 1950-early 2000. Even in those ones, expect up to two grades inconsistency in overall grading. Consistency of results and grading standards. In order to make an informed decision on the various diamond grading reports/certifications, it is important to understand exactly how diamonds are graded to begin with. The major gem labs have remarkably similar processes for analyzing and grading diamonds. The process usually involves several graduate gemologists independently assessing the cut, color, clarity and carat weight of the diamond, with the final grade being extracted after an evaluation of all the assessments. This process helps to reduce the potential for human error in the determination of a diamond’s final grade, but it still doesn’t eliminate it. Grading labs have been known to give different grades to diamonds that are sent to them for the second time, and this difference can get more noticeable when there are multiple diamond certification labs in the mix. Diamonds are not certified..... no lab would say that they are "certifying" diamonds. Legally speaking, it can put them in trouble. All they say is that they grade diamond based on their best judgement. Part of the reason for AGS and GIA’s dominance is their consistency in that they are able to consistently assign similar diamonds the same grade. If you were to send a diamond to the two major labs for evaluation, you would probably receive certificates with none or minor differing grades. These types of differences are generally acceptable in the industry, but when a single lab’s own evaluations disagree, it is considered a sign of shoddy work. Another major consideration in diamond certification is the certification standards that the various labs operate by. In order to illustrate this point, one could consider GIA and IGI side by side: GIA is a non-profit organization while IGI is a commercial institution. Expectably, GIA has been known to be somewhat more objective than IGI when grading diamonds for the simple reason that the latter is bound by their profit motive to be more customer oriented (the customers in this case being diamond merchants.) The disparity in results is an open secret in the industry. 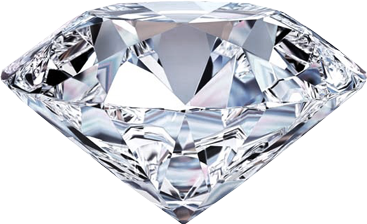 Sometimes commercial labs would give diamonds an average of one point higher grading than those given by GIA and AGS to make their clients happy. What this means for you as a buyer is that while you might find two diamonds with similar grades from IGI and GIA, with the one from IGI having a lower price tag than the one from GIA, it may seem like a bargain to go for the one with the lower price, whereas in reality, you would have paid the same price as the diamond would probably have been graded by GIA with a lower grading and therefore be sold at a lower price. In a nutshell, from a buyer’s perspective, diamond certification is very important while buying a diamond. The diamond grading or certification come from a wide variety of labs, all with varying reliability, but in order to get the best possible deal, your best bet would be to go for a diamond that has either GIA or AGS certification. The most important innovation in the diamond industry in the 1950s is undoubtedly the GIA (Gemological Institute of America) cut grading system that was introduced to serve as the benchmark by which gemstones, diamonds specifically, would be judged. Although the 4 Cs of diamond grading were quite well known and there were a number of other grading systems in use, it was felt that there was a need to have a uniform grading system to promote consistency across the industry. Today, the GIA cut grading system is the most widely used and accepted grading systems for diamonds. Excellent Grade – Diamonds with this grade will have an even pattern of light and dark areas when one looks at stone, as well as high brilliance and scintillation. Good Grade – Here, the diamonds will generally be markedly darker than those in the higher grades, or having insufficient scintillation and brilliance. The pattern too will generally be of less quality. A diamond could also get this grade as a result of its weight ratio. A diamond has an unduly heavy weight ratio when it is heavier than an average gem of the same diameter. In such an instance, it will be downgraded one step. Fair Grade – A diamond with this grade will generally be one that seriously lacks brilliance or scintillation. It could have dark patches in major areas of the diamond, such as the table area and the girdle. Faulty cutting and noticeable imperfections in the symmetry and proportion of the diamond could also be the reason it has this grade. Poor Grade – The diamonds that fall into this category are those with markedly faulty features. They will generally have very poor proportions and symmetry as a result of poor cutting, as well as a very little brilliance or scintillation. It is in this category that you will find “nail heads”, where the stone has a black patch right in the center, and “fish eyes” where the brilliance is completely washed out in the middle. Here again, the weight ratio oof te stone is an important consideration. Apart from the features like brilliance; scintillation; weight ratio and symmetry that have been mentioned above, other criteria that are considered in the GIA diamond cut grading process include the durability, including thin girdles as well as inclusions that act to weaken the gem and polish, which covers the overall quality of the stone’s surface polish, taking note of any nicks, scratches, chips etc. The AGS (American Gem Society) Proportion-Based Cut Grade System is a major challenger to the GIA grading system for dominance as the industry standard grading system. Both the American Gem Society and the GIA (Gemological institute of America) were funded by the same person, the famed Robert Shipley. Due to disagreements over the parameters and methodology by which diamond cut should be graded, both organizations drifted apart, leading to AGS’s establishment of its own lab and grading system. As opposed to the GIA system that gives an overall designation based after taking all the diamond’s features into consideration, the American Gem Society’s Proportion-Based cut grading system considers the color, clarity and cut of the diamond and assigns each feature of the diamond one of 11 levels ranging from 0 to 10. 0 being the best, and 10 the worst. A diamond that receives three 0s is one that has been cut perfectly, with flawless polish, proportions and symmetry, as well as the best possible light performance. Clarity Scale– The clarity scale, as the name implies, measures the clarity of the diamond and the extent of the inclusions it contains. A 0 level on this scale means that the diamonds is flawless and includes no noticeable inclusions whatsoever, making the clarity flawless. Levels 1 and 2 are described as being “very very slightly included” while levels 3 and 4 are “very slightly included”. Diamonds given levels 5 and 6 on this scale will have more noticeable, albeit still slight inclusions, as opposed to those with levels 7, 8, 9 and 10, which will have substantial inclusions and are simply described in the grading system as “included”. Color Scale– Here too, the scale measures exactly what its name says; the color of the stone. A diamond that is assigned a level between 0 to 1.0 is one that is completely colorless and meets the industry ideal as regards diamond color. Those with 1.5 to 3.0 are described by the grading system as being “near colorless” while from 3.5 to 50 have faint colorations that are just slightly visible to the naked eye. 5.0 to 7.0 have “very light” coloration while the coloration present in those with levels 7.5 to 10.0 is still light, but far more noticeable. Any diamond with coloring beyond that will be one with the fancy yellow color that is not considered very valuable. Cut Scale– This measures the quality of the diamond’s cut. A diamond with a 0 level, or the “ideal” grade, will be one that has flawless cut, with perfect symmetry, even pattern of light and dark areas when viewed and high brilliance and scintillation. The polish of the diamond must also be perfect and completely lacking in any nicks, scratches or chips. Diamonds with grades 2 and 3 are “excellent” and “very good” respectively, having similar characteristics as an ideal cut diamond, but just not to the same extent if perfection and flawlessness. Levels 3 to 4 comprise diamonds that are described by the grading system as “very good” while those with 5,6 and 7 are “fair”, depicting a lower quality of cut. Poorly cut diamonds with very noticeable flaws and low brilliance, scintillation as well as faulty patterns and symmetry occupy the last range, from 8 to 10.